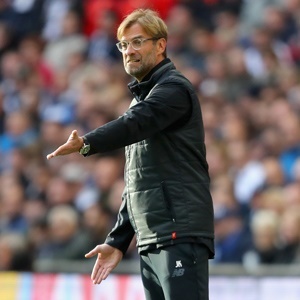 United Kingdom - Liverpool have been besieged by fitness dramas as they prepare to face Southampton in the Premier League at Anfield on Saturday, with even Jurgen Klopp not immune. The manager was forced to miss training on Wednesday, having had a series of checks at a local hospital after complaining of feeling unwell. He was cleared to go home that evening and returned to work on Thursday, but it is not clear what caused the illness, with the club declining to give any further details. It is not the first time Liverpool's manager has suffered with ill health during his two years in charge at Anfield. The German missed a home match against Sunderland in February 2016 as he had an emergency operation for appendicitis. On that occasion, assistants Peter Krawietz and Zeljko Buvac took charge of the team, but Liverpool striker Roberto Firmino is hoping Klopp will be fit to take his place on the bench this weekend. "His importance to me is quite huge," Firmino said. "He helps me in the daily training sessions and I've learned a lot with him. He's been obtaining the best from me, the maximum possible." "He's an exceptional manager and I'm honoured to work with him." Klopp's health scare came two days after it was confirmed that right-back Nathaniel Clyne, a former Southampton player, who has not played this season, will be out until February after an operation to for a back problem. Forward Sadio Mane has also had injury problems and returned early from international duty with Senegal after aggravating a hamstring complaint. Mane, another former Southampton player, originally suffered the injury while playing for his country last month, missing five Liverpool games. After returning in a 4-1 Premier League victory at West Ham United, Mane was allowed to join up with Senegal again, helping them qualify for next year's World Cup as they beat South Africa 2-0 in Polokwane. But he complained of discomfort after the match and has been recovering on Merseyside since then. While Mane waits to discover if he will be fit, there is better news for captain Jordan Henderson. Henderson has recovered from a thigh injury that forced him to miss the win at West Ham, as well as England's friendlies against Germany and Brazil during the international break. Midfielder Adam Lallana, who has not played since suffering a thigh injury in pre-season, is also back in full training and could also face his former club. Virgil van Dijk might also have been playing for Liverpool had Southampton not rejected transfer advances in the close season. The Dutch international was keen to move to Anfield and effectively went on strike to try to force a transfer through. Saints stood firm, however, and after a spell of training on his own the centre-back has returned to first team action at St Mary's. Manager Mauricio Pellegrino is convinced the 26-year-old, who has made five league starts this season, will be focused on helping his current club. "I don't think it will be difficult because Virgil is focused 100 percent on our team and is training well," Pellegrino said. "Obviously we cannot control the market and every single transfer window clubs are looking to buy our players. "It's no secret that sometimes players are distracted, but it's normal."